Good platforms games are rare to find these days and if you find any games like Banjo-Kazooie, consider yourself blessed. Titles such as Banjo-Kazooie and Mario 64 are the products of hard work and dedication. They are everybody’s favorites not just because of the platforming element but the level of details and plenty of room for the gameplay as well. Originally designed as an adventure game, Banjo-Kazooie is a critically acclaimed and an award-winning title. Packed with immersive sounds, detailed graphics, and a wonderful level design, Banjo-Kazooie broke all the records. Being one of the most popular Action-Adventure and Platform games, Banjo-Kazooie is still doing very well in the markets worldwide. If you are looking for more games like Banjo-Kazooie, keep reading. For all those who love playing games like Banjo-Kazooie, we’ve compiled a list of best titles of this particular genre. Take a look, play and do tell us if you like ‘em. Following the lead of its predecessors, Donkey Kong 64 offers enhanced game mechanics and is packed with 3D graphics. With a Single and Multiplayer Platform and Adventure-based gameplay, Donkey Kong 64 features Minecarts, Barrels and lets you collect items. It lets you control five Kongs at a time in eight different game levels on a bigger world map. It also includes multiple Mini-games and multiplayer support. Being one of the three titles, that allows you to use “Expansion Pak” as an upgrade. This upgrade lets you maximize the memory to 4MB of RAM and fixes the Breaking-Bug and that means fluent play. 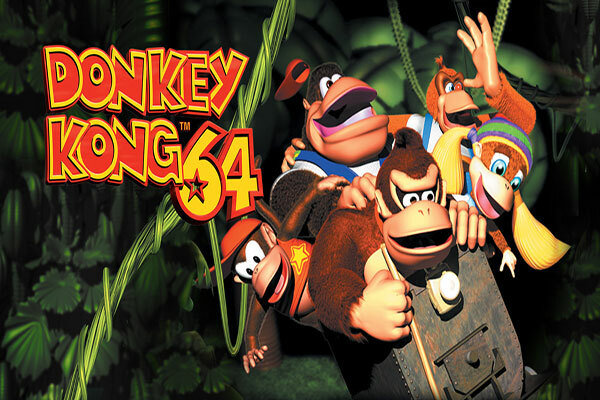 Donkey Kong 64 won the Player’s Choice award and carried it for eight straight years. If you are interested in enjoying a remarkably amazing Adventure and Platform title, Donkey Kong 64 is your best shot. It’s one of the best games like Banjo-Kazooie to play. Second best title on our list of games like Banjo-Kazooie is the popular Kirby’s Return to Dreamland. This remarkable Action and Platform title is one of the best in Kirby’s Adventure series. 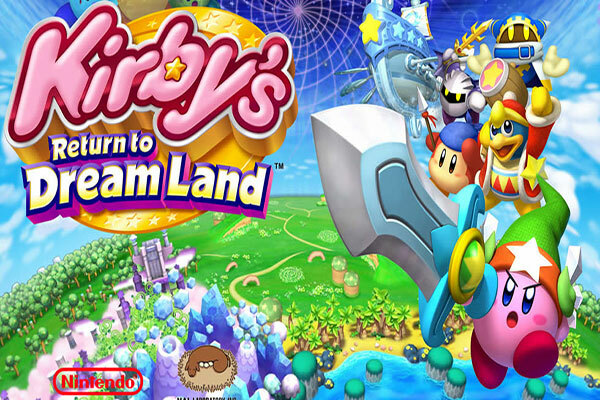 The gameplay of Kirby’s Return to Dreamland is heavily influenced by all the Kirby Platforming games. Kirby’s Return to Dreamland follows the character of Kirby, a character that holds the powers of Inhaling and Copying the enemies. These unique powers allow Kirby to transform into forms of enemies and use their powers to achieve the game objectives. Your task in the game is to control the character of Kirby. Use powers and unique attacks such as Fire Breathing and Sword Swinging to eliminate the enemies. You can also enjoy Cooperative Multiplayer play in the game as well. This feature allows you to accompany up to four players in the game. These characters include Waddle Dee, King Dedede, and Meta Knight as well as others. With a remarkably fantastic plot, beautiful 3D graphics, and an addictive gameplay, Kirby’s Return to Dreamland is no doubt one of the best games like Banjo-Kazooie to play and enjoy. One of the best alternatives to Banjo-Kazooie is the fantastic Donkey Kong: Country Returns. This incredible game offers the best combination of Platform, Action, and Adventure elements. With a Side-Scrolling perspective, Donkey Kong: Country Returns takes you on a beautiful ride to a world filled with monkeys. Once there, you can get into the character of Donkey Kong and start off your journey of wonders. You can also be Diddy Kong in the game and enjoy it to a whole new level. While puzzling around in a beautiful world built around caves, jungles, volcanos, sunny beaches, and wonderful scenarios, you as the Donkey Kong are tasked to save your Bananas from the Evil Tiki Tak Tribe. Saving the Bananas is one objective, the others include freeing the hordes of Kongs and letting them help you. 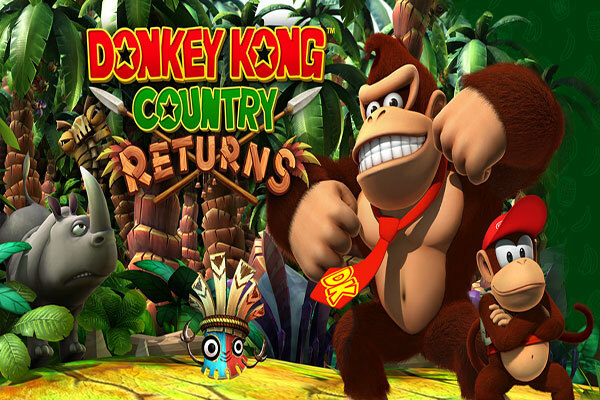 Donkey Kong: Country Returns is a Nintendo specific title and has a Sequel named as Donkey Kong Country: Tropical Freeze. With a very addictive gameplay, beautiful 3D visuals and loads of fantastic game levels, Donkey Kong: Country Returns is no doubt one of the best games like Banjo-Kazooie to play and enjoy big time. Giana Sisters: Twisted Dreams is another outstanding Adventure-based Puzzle and Platform video game. This super addictive game is a sequel to two most popular games Giana Sisters DS and The Great Giana Sisters. It offers a similar gameplay to its predecessors and adds up a bit more spice to the play. With a fluent and mesmerizing gameplay, it mixes up the characteristics of Super Mario and Sonic. This innovation to the Giana Sisters series games provides with more depth and room for the gameplay. Packed with Side-Scrolling fun Giana Sisters: Twisted Dreams offers thirty levels of untainted Retro style Puzzle Platform gameplay. Collecting gems, eliminating enemies in Mario style, loads of fantastic items, and all the beautifully created environments are among the most brilliant things in the game. 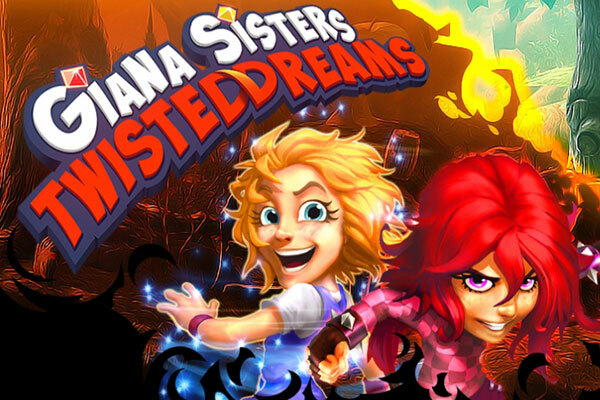 With a fast-paced gameplay, many new and old enemies, a whole bunch of power-ups, Giana Sisters: Twisted Dreams is a great Platform game that you can play instead of Banjo-Kazooie. This remarkable title of Mario games takes you to a whole new level of Space-based platform gaming. 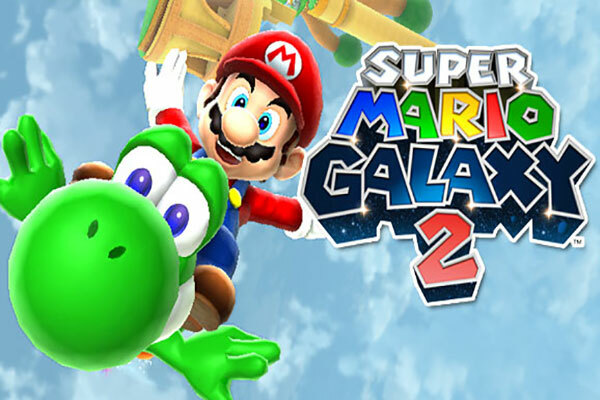 A Sequel to Super Mario Galaxy, Super Mario Galaxy 2 features the characters of Mario, Bowser, and Princess Peach. In a battle between to two ultimate enemies, Galaxy 2 lets you control the character of Mario and free Princess Peach from the clutches of Bowser. This time Bowser has taken over the Universe with the help of Power Stars and the Grand Stars. Your task in the game is to travel to distant galaxies, collect Power Stars and use them to free the Princess. Bowser is taking refuge in the center of the universe and freeing the princess is a bit tricky this time. So are you ready to take on all the action and thrill? We’ll you should be because this particular title will definitely take more than what you always did in any other Mario game. With a remarkably addictive and immersive gameplay, beautiful 3D graphics and loads of challenging levels, Super Mario Galaxy 2 would definitely be a great addition to your games like Banjo-Kazooie lineup. Do give it a try. We all know how awesome is Ricky the Platform game. This tremendous title stands out as one of the most brilliant creations of this particular genre. Ricky + Level Editor offers an astounding combination of Action, Adventure and Platform gaming. 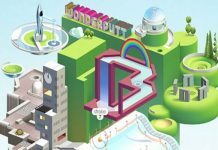 It offers a chance to build your own platforming levels, share with friends online and enjoy the involving puzzle-platform gameplay. 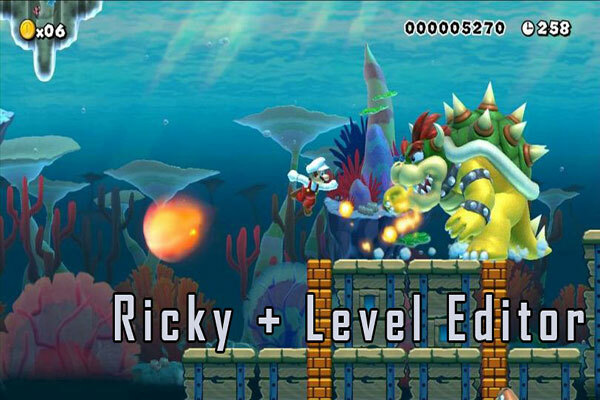 As compared to the previous game, Ricky + Level Editor features new levels, loads of new abilities for Ricky, cool power-ups, more lives and new enemies. Furthermore, it offers a variety of different types of enemy characters. You’ll find it a lot similar to Nintendo’s Plumber and Mario because it literally feels like their rip of version. The objectives of the game are to travel to various new worlds, collect stars while jumping on platforms and all the turtle enemies. The ultimate struggle to save your long lost brother, you’ll have to defeat the evil boss. With a beautiful game world, easy controls, and freedom to create your own game levels, Ricky + Level Editor is one of the best titles among all the traditional platform and adventure games like Banjo-Kazooie. Jett Rocket is one of the most innovative and extremely addictive titles on our list of games like Banjo-Kazooie. This fantastic game amalgamates Action, Adventure and Platform elements beautifully. With a Science-Fiction-esque gameplay, it takes you to a distant planet named as Yoroppa. On Yoroppa, your task is to use your Jetpack and your platforming abilities to complete various types of objectives. The game world is divided into many small islands and you can travel from one island to another by jumping on platforms and using your jetpack. There are charging pods scattered all around the game world that help you keep the jetpack refueled at all times. The guide bots are also there to help you with your tasks. The ultimate goal is to dash hard into your enemy bots, destroy them and collect items to keep on going. You are bound to control the character of Jett Rocket, a terrestrial eponymous Inspector, and an adventurer. You must stop the PPP Aka. The Power Plant Posse from destroying this beautiful planet. Every level of the game consists of three parts. These parts include Lush green Tropical islands, Snow and Glaciers, and Swamps in the Jungle. All these parts hold many items including solar cells and other items that you must collect to unlock more areas to explore. 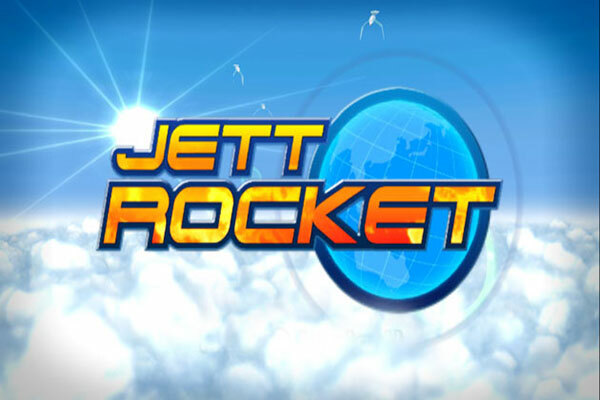 With a gameplay packed with all kinds of obstacles, enemies and other wonders, beautiful game world, 3D graphics, and easy controls, Jett Rocket is a fun Platform game to play. Who isn’t familiar with this amazing Adventure, Puzzle, and Platform title? Super Mario by Nintendo EAD is one of the most popular games like Banjo-Kazooie. This tremendously innovative game offers a Fantasy-based play in which you take on the role of a Mascot named Mario. Your task is to travel to the far reaches of the Mushroom Kingdom with your brother Luigi. The ultimate goal of the game is to free Princess Peach from the nasty antagonist Bowser. On your way to Bowser, you must kill all the enemies by jumping on their heads. While eliminating the enemies, you must break the wall-like platforms to earn power-ups and upgrades. Super Mario is all filled up with challenging puzzles, platforms, and enemies. 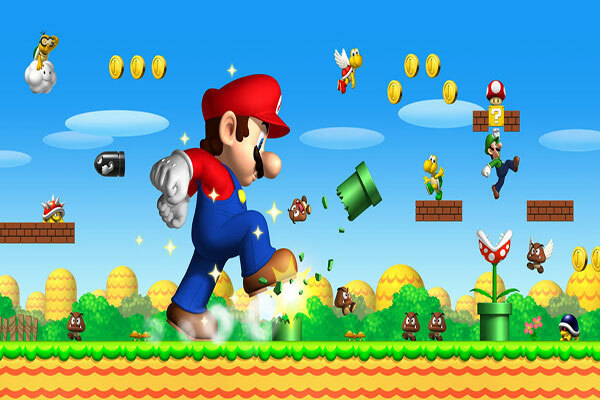 With being one of the most popular titles of this particular genre, Super Mario is basically the predecessor of all Platform and Puzzle games in the present era. The challenging game levels, vigorous graphics and level of detail in Super Mario is so remarkable that it literally binds you to the console for hours. If you love playing Platform and Adventure based games, Super Mario would definitely be one of the best choices. Despite being an old title, Super Mario is still popular among the games and its series offers loads of Sequels and Spin-offs. Kirby’s Adventure Wii is another great title that should be on your list of best games like Banjo-Kazooie. It offers a Side-Scrolling perspective and combines it with Adventure and Platform aesthetics. 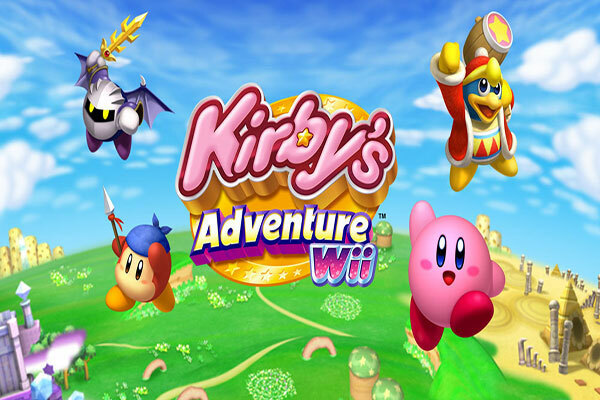 Kirby’s Adventure Wii features the character of Kirby who explores a world filled with all kinds of puzzles and adventures. Kirby has an ability to kill and Copy the enemies that help use their special abilities against the enemies and the boss. It offers both Sigle and Multiplayer play. In multiplayer mode, you can accompany up to three more players in a co-op mode. You can control Kirby and the other players can get control the characters of Waddle Dee, King Dedede, and Meta Knight. Set in a mesmerizing world, Kirby’s Adventure Wii is a Nintendo Specific title that can only be played on Wii consoles. For an amazingly addictive gameplay, do try it out. It’ll definitely entertain you well. Soosiz HD takes the Adventure-based Platform genre to new heights. It offers a gravity defying Platform experience and bundles it with beautiful 3D graphics. It offers seven different game worlds and sixty-five challenging levels in the game. 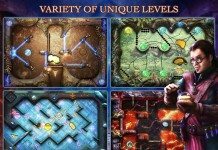 Packed with Pixel-precise controls and all the fun gameplay elements, Soosiz HD features loads of special Unlockable levels. From epic Boss battles to encountering all kinds of enemies and challenges, Soosiz HD puts you to the ultimate task of saving the Universe. 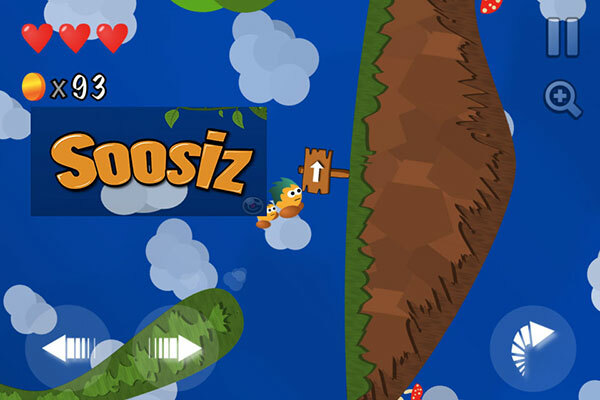 Primarily, Soosiz HD offers a gameplay a lot similar to Super Mario and Banjo-Kazooie. This makes the gameplay more fun and exciting at the same time. If you call it a rip off of Mario games, that won’t be wrong at all. So if you really are into games like banjo-Kazooie or Super Mario, Soosiz HD will definitely satisfy your inner adventurer and platform enthusiast. Give this remarkable game a try and you’ll know what it’s all about. So these are our top 10 games like Banjo-Kazooie. If you think we missed out something great, comment below.